Nurses and midwives are among the professionals now permitted to support people who experience domestic abuse to register to vote anonymously. 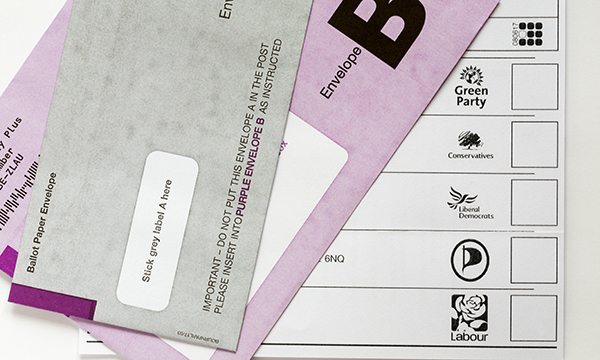 Changes to the law, effective from 7 March in England, Wales and Northern Ireland, enable nurses, police inspectors, medical practitioners and refuge managers to attest anonymous voter registration for people who fear registering on the electoral roll will jeopardise their safety. This allows individuals to register to vote in referendums, local and general elections without their name and address appearing on the electoral roll. The amendment, which will come into force in Scotland on 1 April, extends the list of professionals who can provide this support. Around 12,000 people living in refuges and elsewhere in the UK are expected to be affected by the law change. The move has been welcomed by the RCN, which has committed to produce guidance for nurses on attesting to someone’s right to vote. RCN professional lead for midwifery and women’s health Carmel Bagness said: ‘Ensuring people can vote safely should be a priority for everyone. The update also expands the list of court orders that enable anonymous registration to include domestic violence protection orders and female genital mutilation protection orders. Minister for the constitution Chloe Smith said: ‘It’s simply unacceptable that fear of revealing their address to an ex-partner has stopped victims of domestic abuse from voting.